NEWARK, New Jersey -- A New Jersey judge on Thursday ordered a new hearing on a criminal misconduct complaint against Republican Gov. Chris Christie in the George Washington Bridge lane-closing scandal, ruling that a lower court wrongly found probable cause for the case to proceed. State Superior Court Judge Bonnie Mizdol reversed the municipal court finding of probable cause and sent the case back to the lower court for a new hearing on the issue. In her ruling, Mizdol also refused a request from Christie's attorneys to dismiss the citizen's complaint entirely. The complaint, filed by former Teaneck firefighter William Brennan, accuses Christie of failing to act to reopen the lanes that were ordered closed in an alleged political revenge plot to punish a mayor who didn't endorse Christie in 2013. Two of Christie's former aides were convicted in federal court in November. He has denied wrongdoing and was never charged in the case. Mizdol agreed with arguments from Christie's attorneys that the lower court's October finding of probable cause was flawed because they weren't allowed to participate or cross-examine Brennan. She found that oversight "was a violation of fundamental constitutional safeguards." But in turning down the request for dismissal, she rejected their arguments that the evidence Brennan offered - testimony from the recent federal trial - wasn't sufficient for a probable cause finding. Christie's office, and the governor's attorney, Craig Carpenito, didn't respond to requests for comment on the ruling Thursday. If Brennan's complaint is allowed to go forward, prosecutors would have to collect evidence and present it to a grand jury, which would have to hand up an indictment before Christie could face a criminal trial. Official misconduct is punishable by a potential prison term of five to 10 years upon conviction. The bridge scandal dogged Christie through his failed campaign for the GOP presidential nomination, and was considered a factor in his not being chosen as running mate for Donald Trump last year. In an email Thursday, Brennan said he would now present additional testimony from the federal trial from former Christie aide Bridget Kelly, whose testimony came after Brennan filed his misconduct claim. Kelly, Christie's former deputy chief of staff, said that during the four days of lane closures in September 2013, she told Christie about Fort Lee Mayor Mark Sokolich's concerns that the traffic jams were some form of political payback. Christie's response was to "let Wildstein handle it," referring to David Wildstein, the former Port Authority of New York and New Jersey official who pleaded guilty in the scandal. "Sending Wildstein was like having the fire department dispatch an arsonist when a fire is reported," Brennan wrote. Wildstein also testified that he and Bill Baroni, one of Christie's top appointees to the Port Authority, told Christie about the traffic jams and the governor laughed and made a sarcastic comment. 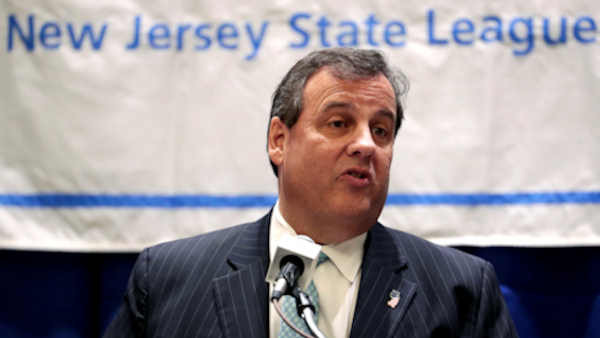 Christie has publicly denied knowing about the scheme until months later. Kelly and Baroni were convicted of wire fraud, civil rights offenses and misapplying Port Authority property. Carpenito argued that Wildstein's testimony in the federal trial didn't show Christie knew about the motive behind the closing of access lanes to the bridge in September 2013. Mizdol previously rejected Brennan's motion to have a special prosecutor appointed to the case, ruling that he didn't have the authority to make that request.